An unlocked Core i3 is considered to be the holy grail of budget overclocking and has rightly generated a fair amount of interest. The base clock overclocking fiasco we saw recently proved that there's a lot of interest in being able to overclock something cheaper and less powerful than a K-series quad core. For some, the latter were simply out of reach financially - certainly the case if you're looking to build a gaming rig for less than £700 or so. After all, not many games make full use of four or more cores, and if you don't do much by way of rendering or other multi-threaded tasks, there's a clear case for saving some cash or putting the savings towards a bigger SSD or more powerful GPU. We haven't seen budget overclocking hit the mid-range since pre-Sandy Bridge days, so there's been a sharp divide between those that can afford a K-series CPU and those that cannot. There are two things to consider: Will the Core i3-7350K save you money, and can it cope with the demands of a modern gaming system when overclocked? The former is important because if it's only a few notes short of a Core i5-7600K, the latter is clearly a better buy. The second question is perhaps just as crucial - yes, you want to save money, and we wouldn't recommend partnering it with an Nvidia GTX 1080, for example, but how does it fare in the same system with a reasonable GPU compared to the Core i5-7600K? 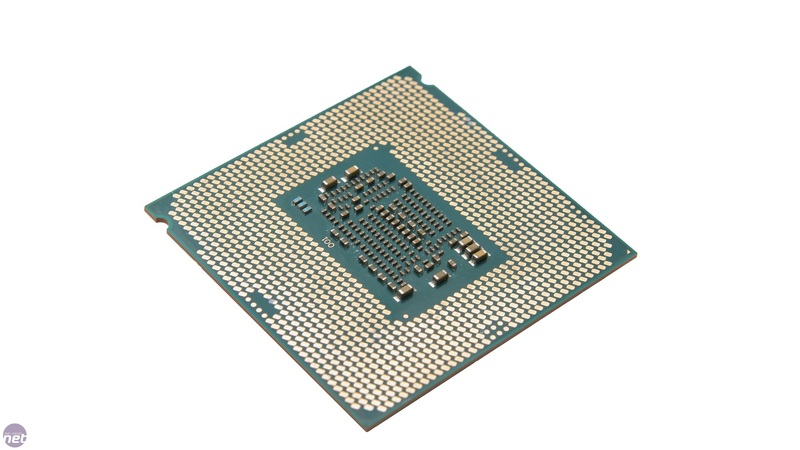 The Core i3-7350K is interesting for a number of reasons and both relate to Intel's last effort at budget overclocking - the Pentium G3258. Lacking hyper-threading, so limited to two threads, and with considerably less cache than it's K-series siblings, even with a massive overclock it could still fall behind in several areas. The new kid on the block has 33 percent more L3 cache and critically, it supports hyper-threading, so unlike the Pentium G3258, you get four threads as opposed to two. For more analysis on the new features of Kaby Lake CPUs and the Z270 chipset, see our initial coverage here. Like all Kaby Lake CPUs, there's been little by way of architectural changes, although improvements to the transistors are likely resulting in the higher clock speeds we're seeing when overclocking is concerned, as well as the speed bumps in non-K-series CPUs. Like its siblings, the Core i3-7350K sports a 4K HEVC 10-bit video engine, so dealing with ultra high definition video will be a smoother experience that no longer relies on having some decent discrete GPU grunt. In addition, you'll need a Kaby Lake CPU to watch Netflix in 4K on your PC too. We're a week on from the initial launch, and if there's one big issue surrounding not just Kaby Lake, but Z270 motherboards too, it's pricing. In the UK, at least, we're seeing some wallet-stinging price tags across the board. What we hoped would be a £150 overclockable Core i3 turned out to be a £180+ part. 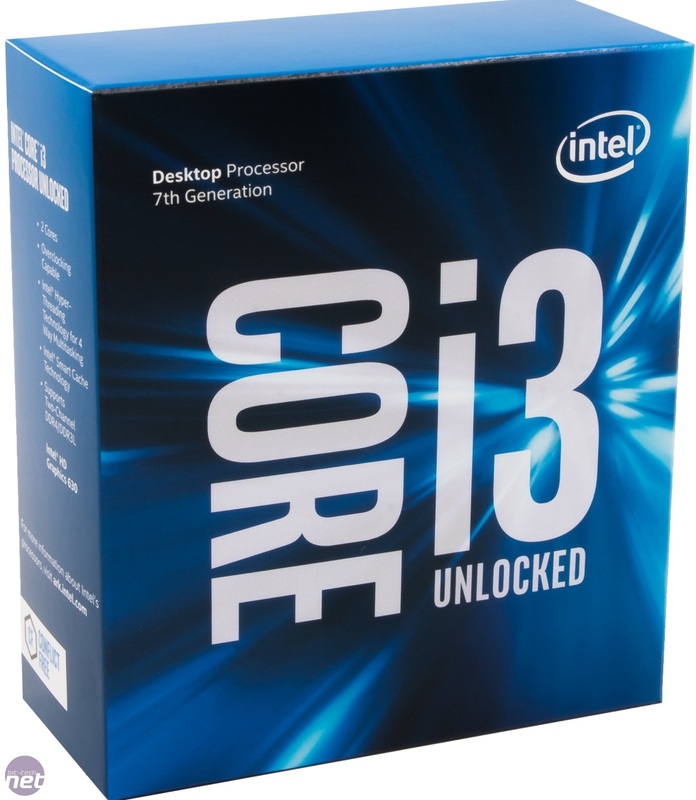 Now, things aren't quite as bad as they seem for the Core i3, for the simple reason the Core i5-7600K is also a pricey chip - the cheapest we could find it was £240. So that means you'd still be saving £60 over the i5. To put that in a more familiar context, if the Core i5-7600K retailed for £200, as seemed to be the going rate for a Core i5 K-edition for the last generation or two, the Core i3-7350K would logically come in at around 25 percent less, or £150. That, to us, means that the would-be budget king needs to land within a reasonable distance to Core i5-7600K performance. If it lags behind significantly, that extra 25 percent/£60 is more than likely going to be worth paying. Thankfully, on paper it seems possible, given that it's only dropping 2MB L3 cache, has a base frequency of 4.2GHz - the same as the turbo frequency of the Core i5 - plus you do get hyper-threading as well. The latter will certainly help the cause compared to woeful performance of the Pentium G3258 in multi-threaded tests, but a true quad-core is always going to be faster. If you're after a cheap, overclockable mini-ITX Z270 motherboard, this is essential reading.